Home invasions are one of the most popular and wide-spread crimes in Australia: 228,300 break-ins were recorded during 2016-17. A security system offers families complete peace of mind that when they’re away from home, their security system is protecting their valuables. Criminals commonly avoid risky ventures and stay away from houses where there is a safety mechanism installed. They usually seek the easiest home to violate; they want to avoid any challenges that will slow them down or pose a risk to their capture. It’s easy to understand how a home security system installed at your home can deter would-be thieves. Call Briggs Electrical to organise an appointment today! As technology advances, so too do the capabilities of advanced alarm and security systems. Briggs Electrical can advise you on a home security plan to suit your needs and budget, and will complete set-up, installation, and training with you and your family! CCTV cameras allow you to monitor and record what is happening inside or outside of your house or premises while you are away. Briggs can help install a complete system of CCTV cameras in high definition that let you see your home or business directly from your phone. Today’s technology includes full-HD recorders, hard drives, and complete kits. 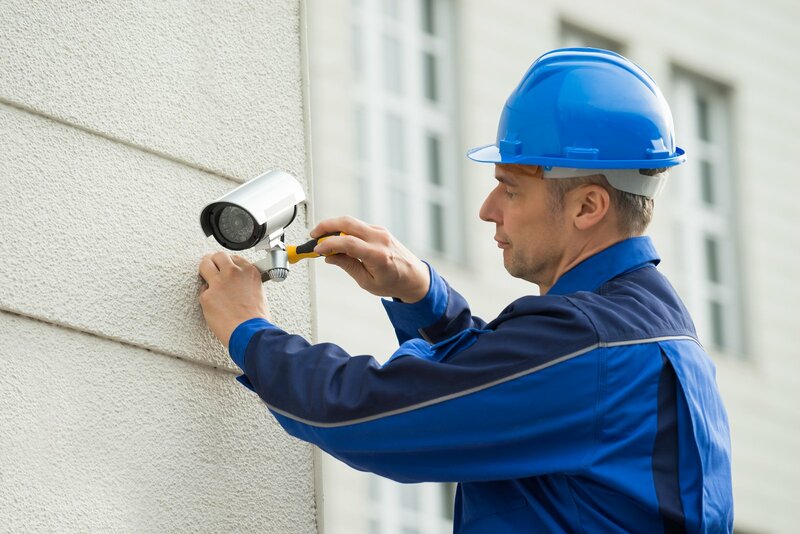 Whether you’re away for the evening or on the other side of the world for a month-long holiday, your CCTV cameras are working 24-7 to monitor your property. One of the safest and most common methods to protect the home against criminals is installing an alarm system. Over the years, we have closely monitored how the security and alarm industry continues to innovate and develop. Professional security companies offer slick and sophisticated solutions to both commercial and domestic properties. With the various alarm types and additional hardware and software available, we can create a customised solution akin to the characteristics of your housing situation (e.g. home vs. apartment vs. office vs. commercial property) as well as your budget. With a panic control or button, you can immediately activate an alarm if you see an intruder. A special code is usually required in case there is a kidnapping or forced entry: If a criminal forces you to turn off the alarm, you can enter a special code that alerts the police. It will not sound the alarm, but authorities will know what has occurred. Clever motion sensors respond before activating motion detection audible alarms. Their main advantage is the ease of installation since the components are wireless. Motion sensors are also highly popular in outdoor lighting systems, adding that extra layer of security to the exterior of your home. They also provide a convenience to you when arriving home at night! Door and window sensors are usually small magnetic switches that detect when a door has been opened while a home alarm is activated. This usually indicates an invasion, so when this happens, the sensor sends a signal to the security company. This device is activated by capturing sounds (like breaking glass). Due to the sensitive nature of these sensors, they are not too prevalent in residential homes, but rather in especially quiet areas where noise is highly likely to mean an intruder. You can benefit by installing water, smoke, or gas detectors. Some of these facilities can cut the power and instantly call the right person to fix the job. Gas detectors are activated at the time they recorded a concentration of between 10 and 15% of energy in the area. No matter which Melbourne suburb you call home, we are, unfortunately, not immune to crime, but with a slick home security system – professionally installed by Briggs – you can protect your home, your family, your possessions, and yourself.